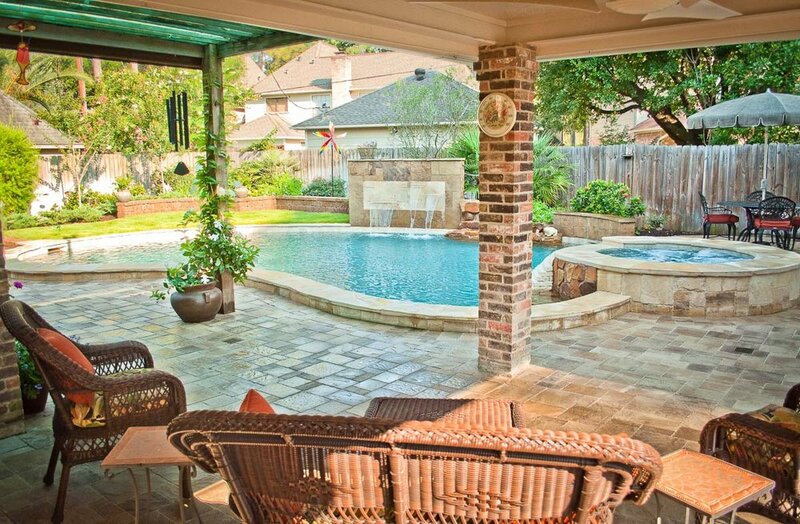 Pool design is an opportunity. 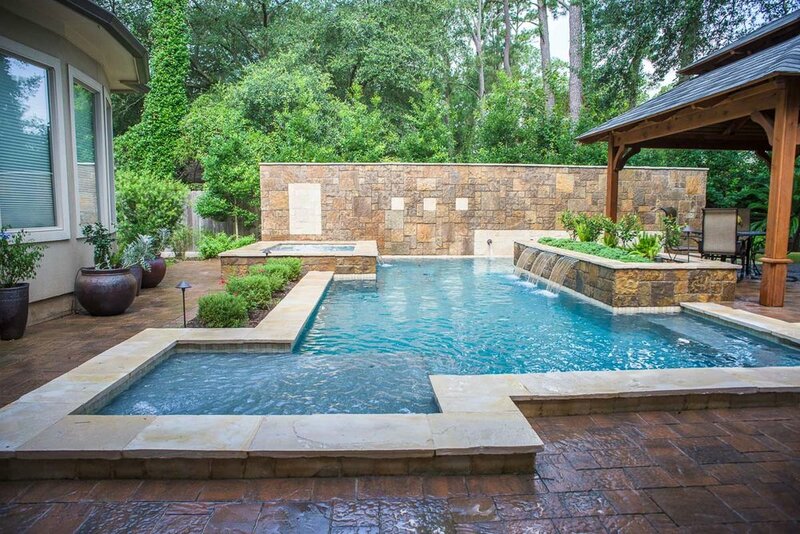 When a beautiful swimming pool design becomes part of your garden lifestyle, the living space of your home expands far beyond the living room couch. 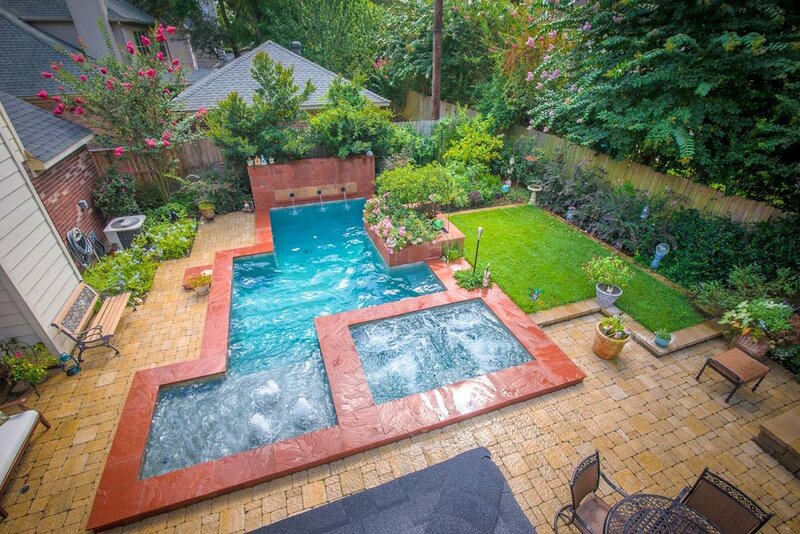 Unfortunately, this area of garden design is usually forfeited to salesman and contractors. 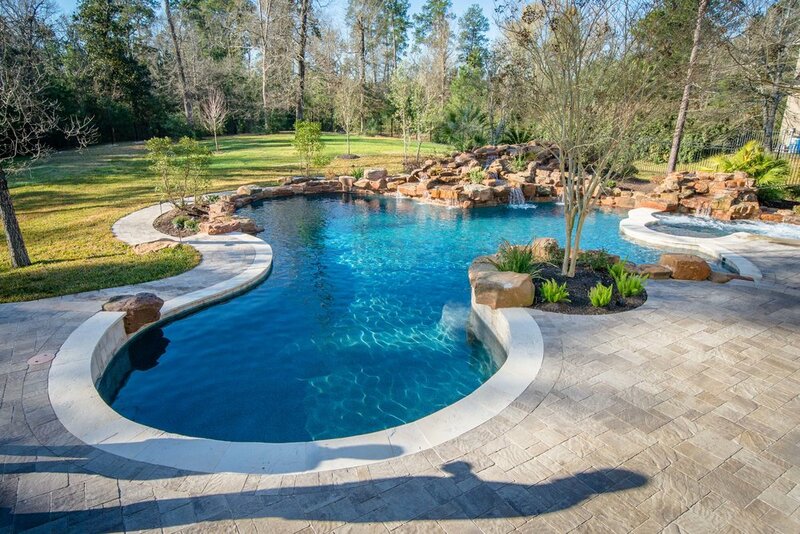 Calling us a pool builder is kind of like calling a master chef a cook. 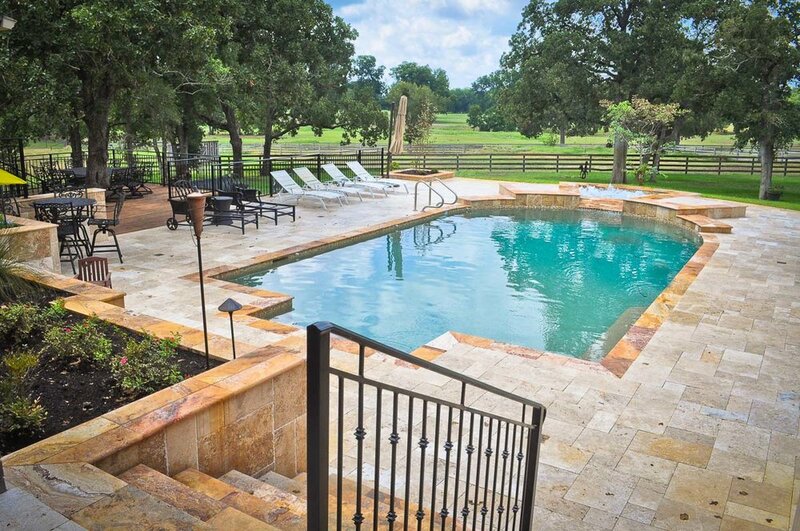 We don’t casually drop pools into the ground and leave. 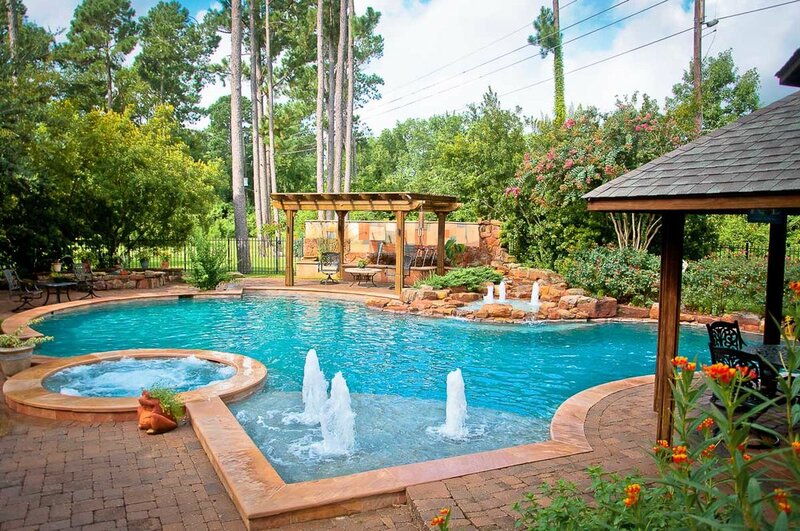 In our designs, the pool is incorporated into the complete backyard design, allowing for a sequence of entertainment spaces that flow graciously from your home into the garden. 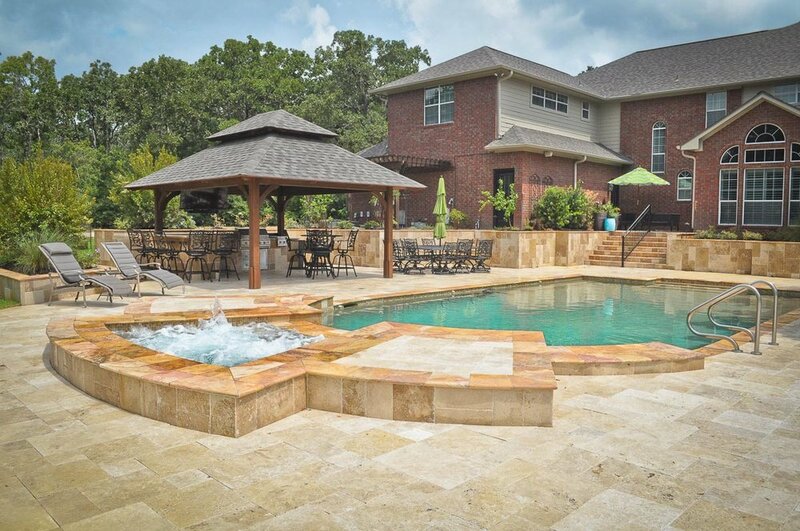 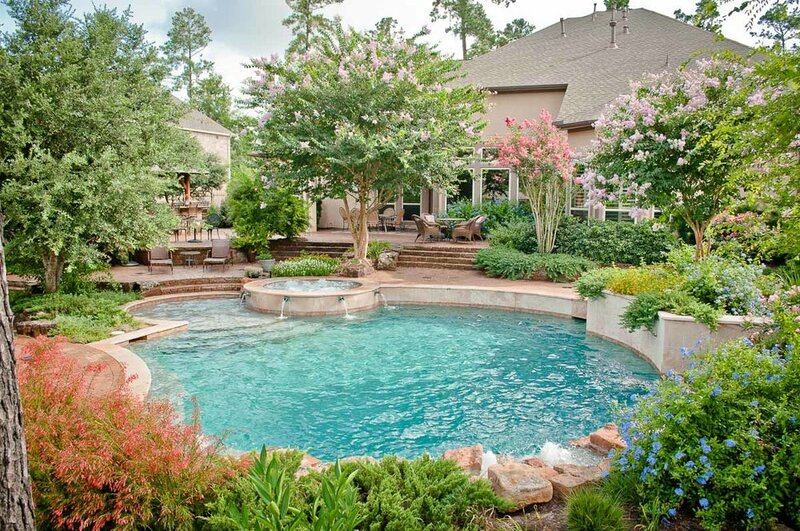 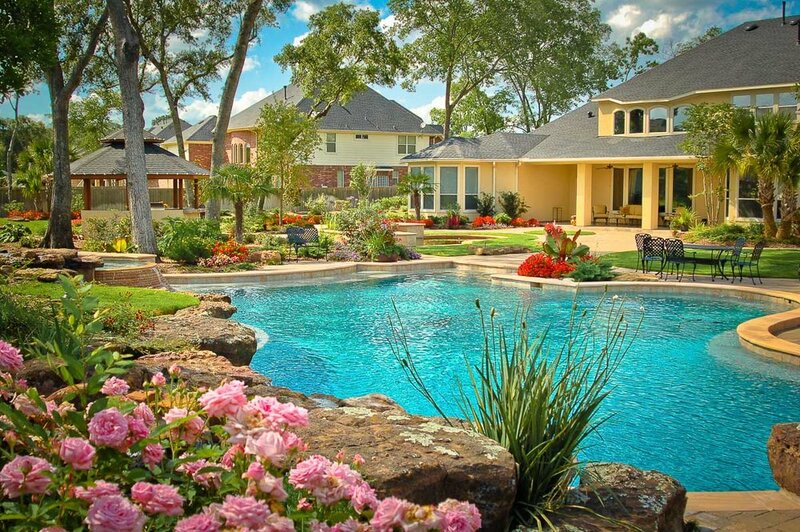 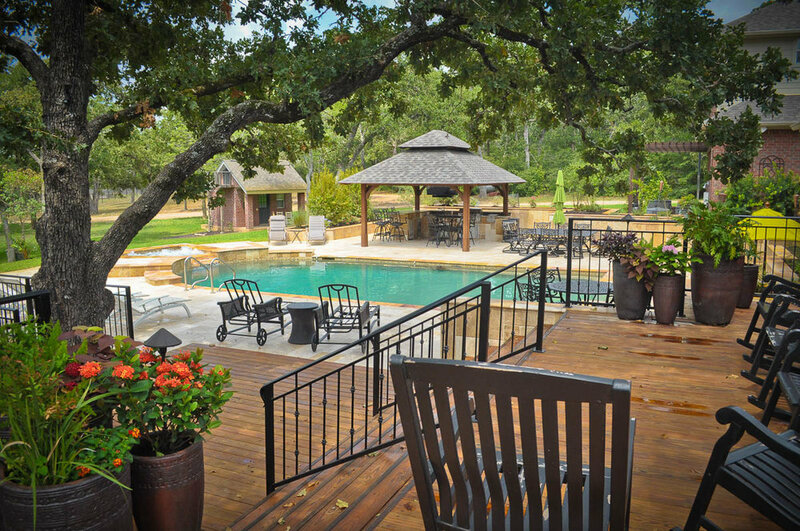 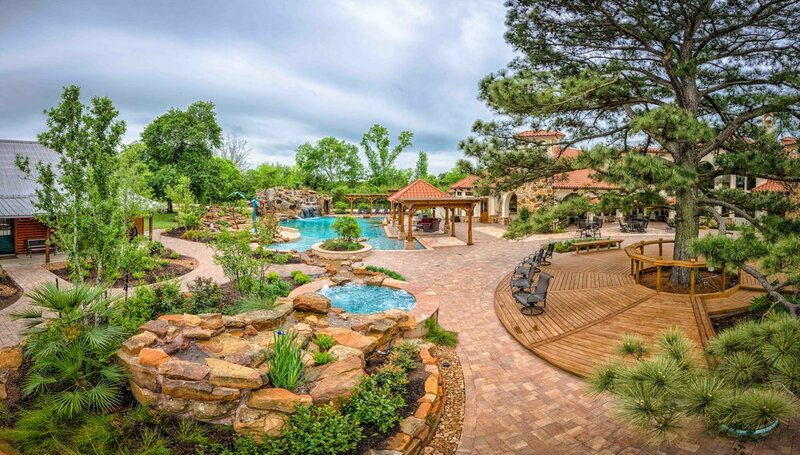 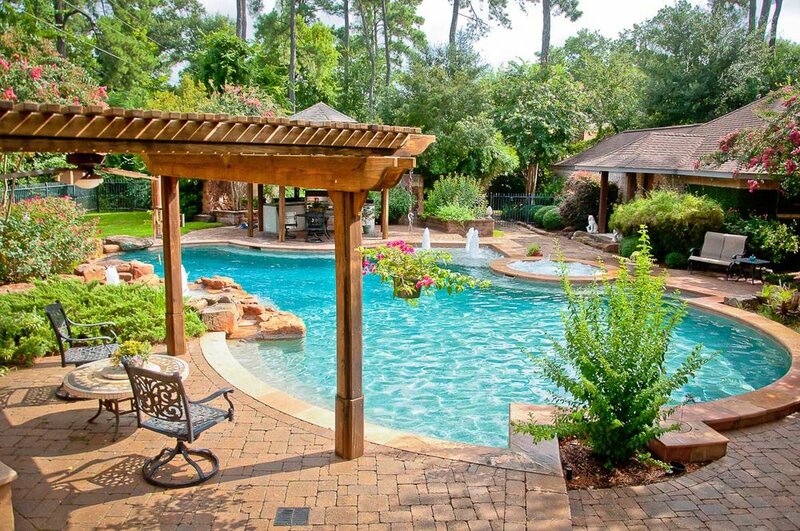 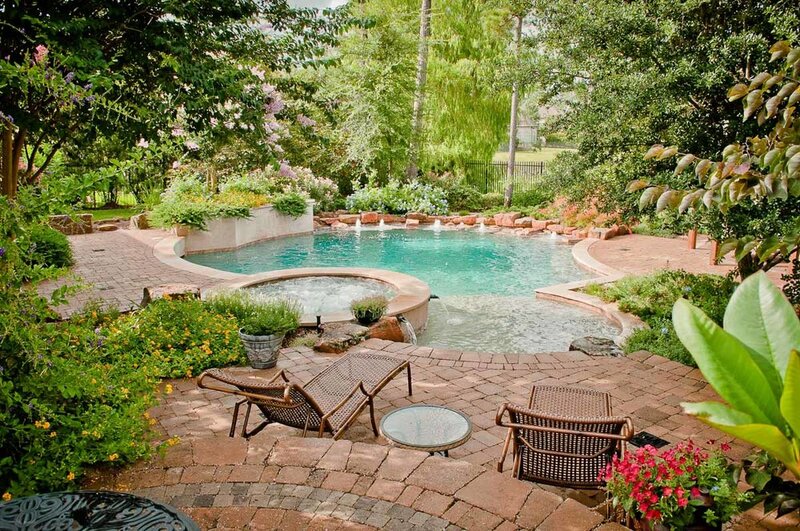 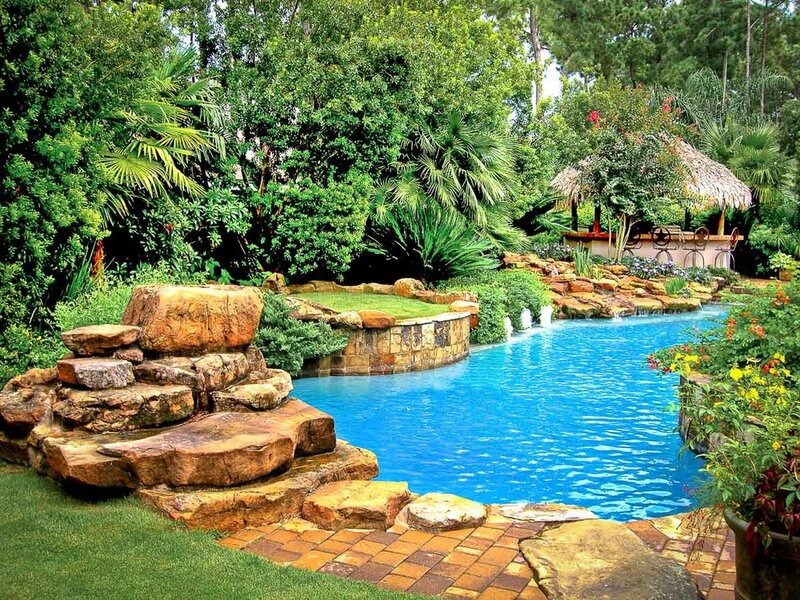 You wouldn’t let your upholsterer design your house, so why let a pool builder design your backyard? 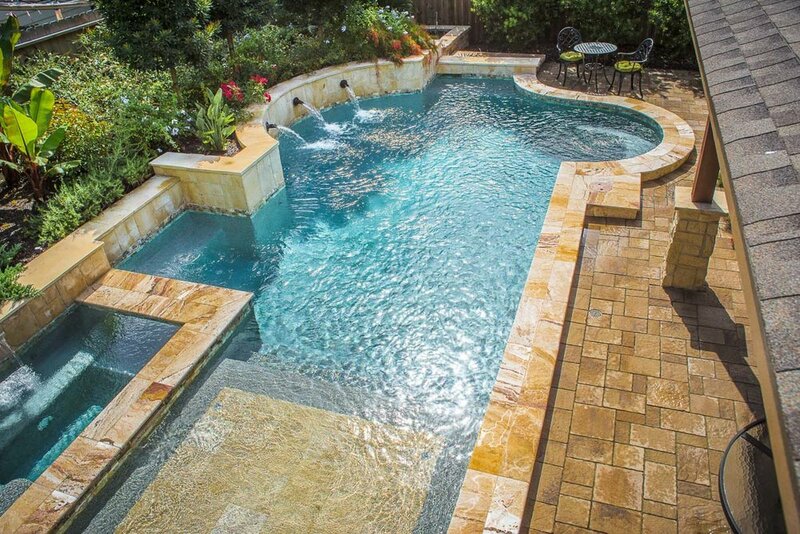 At Mirror Lake Designs, our custom pools are an integrated design element, not just a wet hole in the ground. 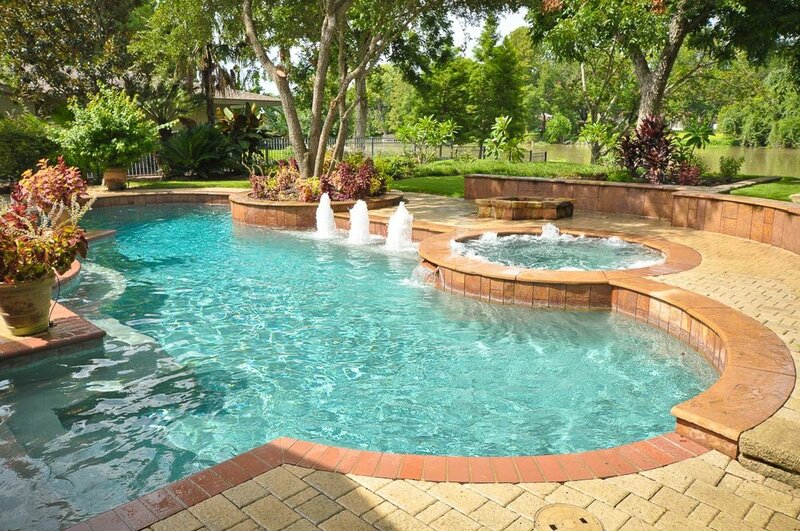 We’ve all seen that pool that looks out of place – it’s typically too big, too close to the house, or it’s materials are in opposition to the materials of the house. 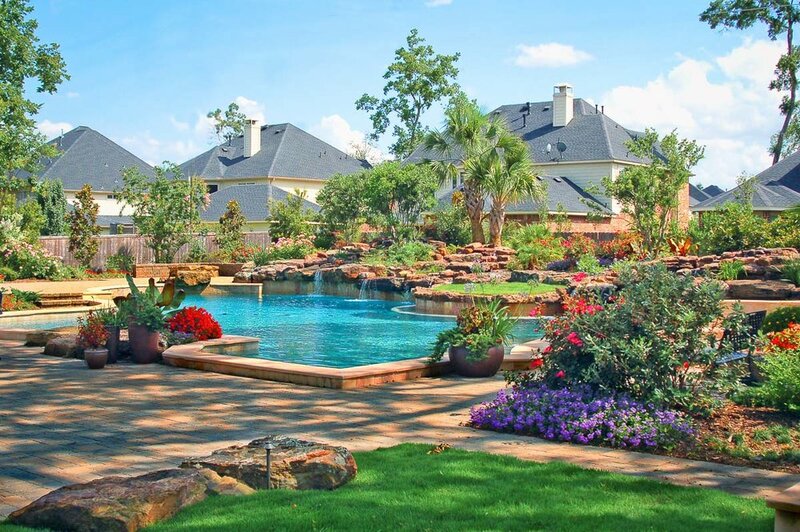 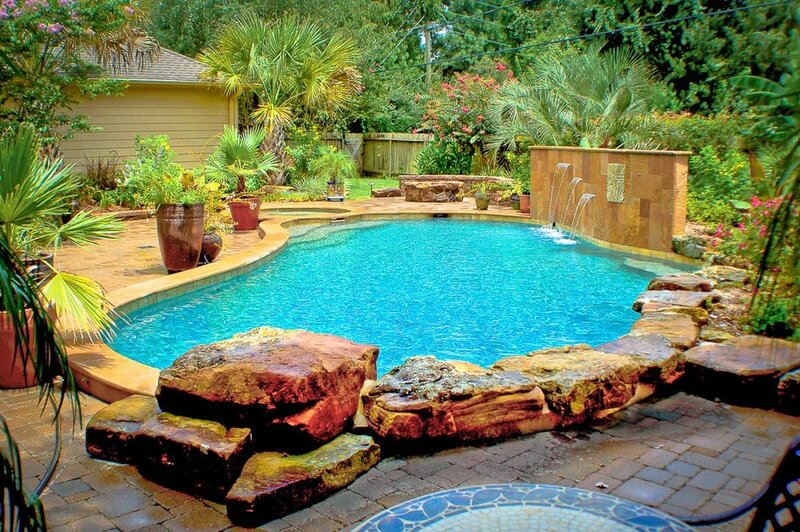 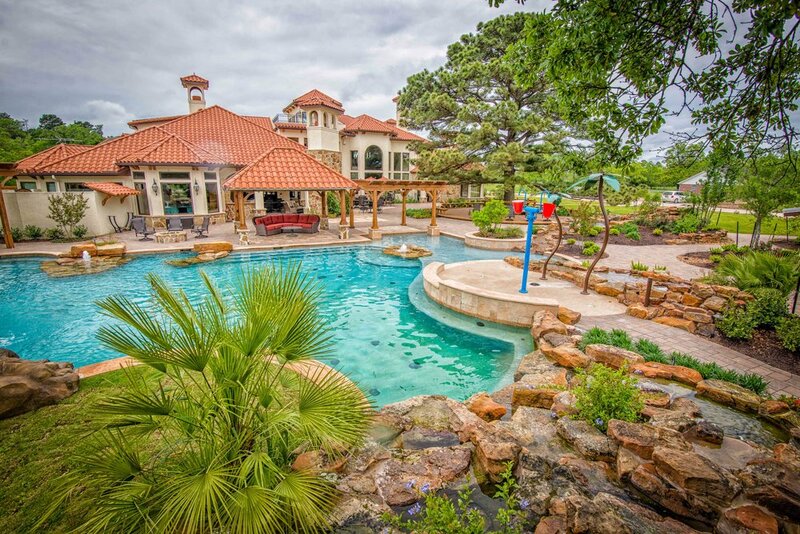 After working for over thirty years in Houston and the Woodlands area, we have seen every mistake there is to make in pool design and construction. 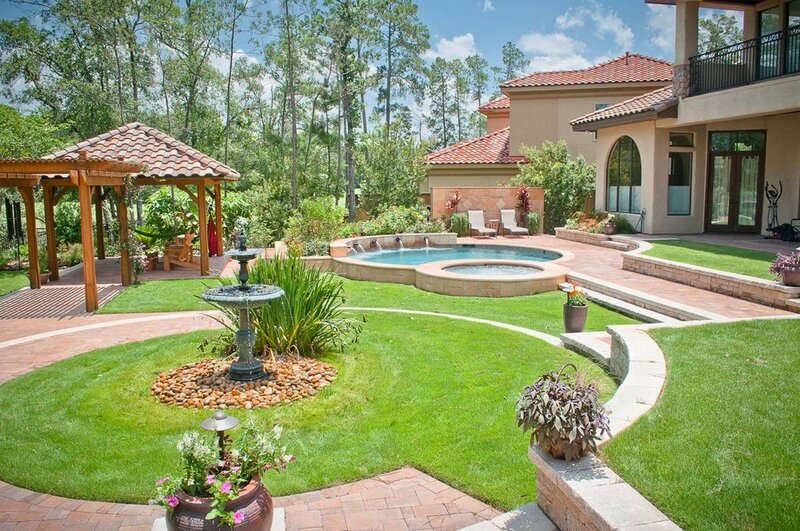 (We’ve even been guilty of them ourselves!) 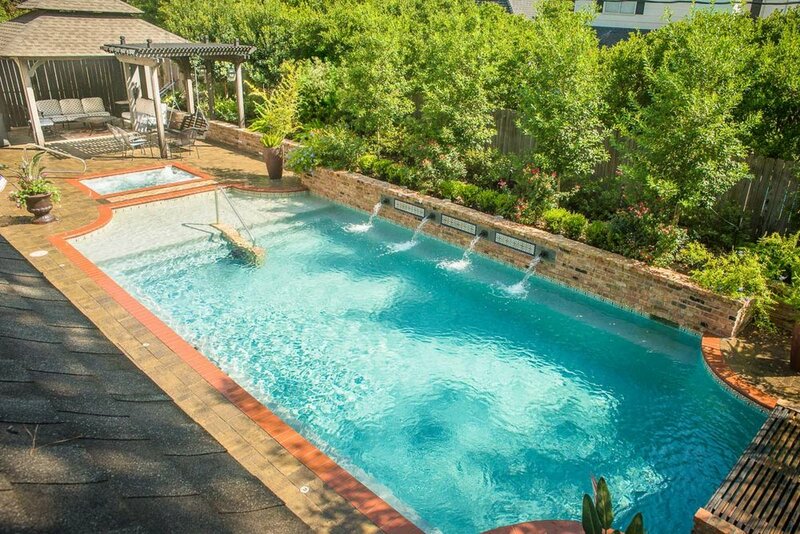 A pool is a big investment, and we treat it as such. 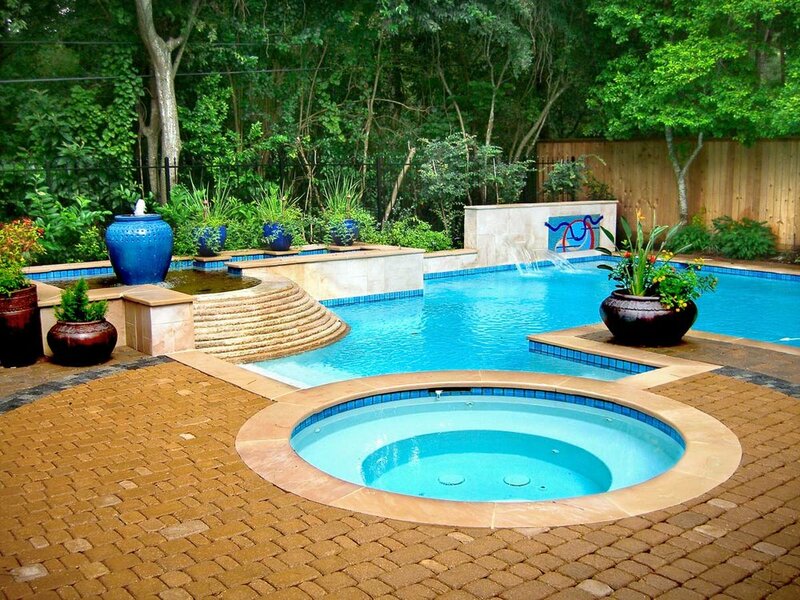 That’s why every custom pool design starts with getting to know the homeowner. 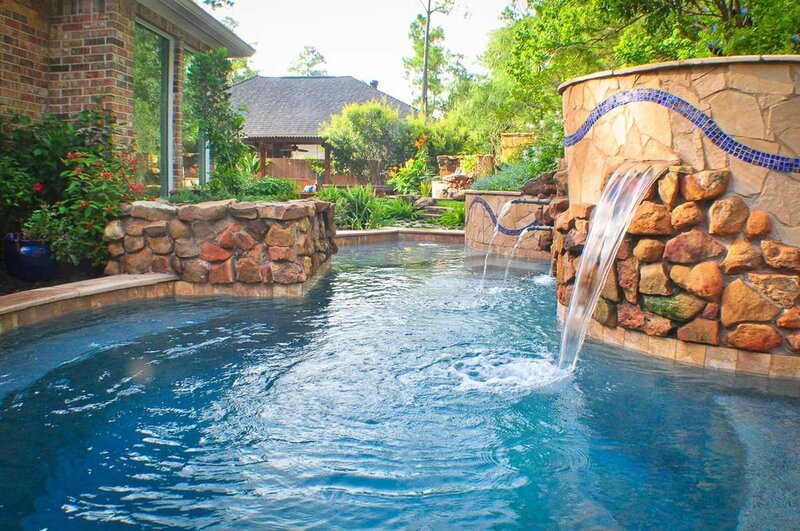 For instance, would you be surprised to learn that over 90% of our time will NOT be in the pool? 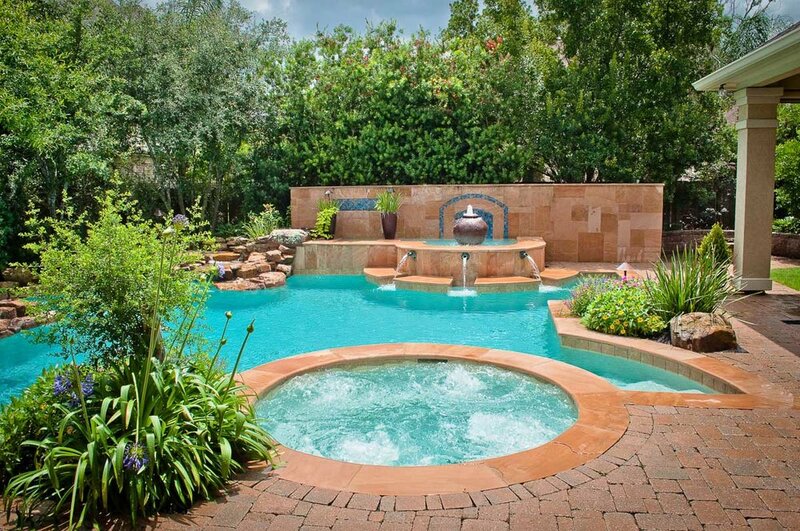 And when we are in the pool, over 90% of that time is spent at the waters edge? 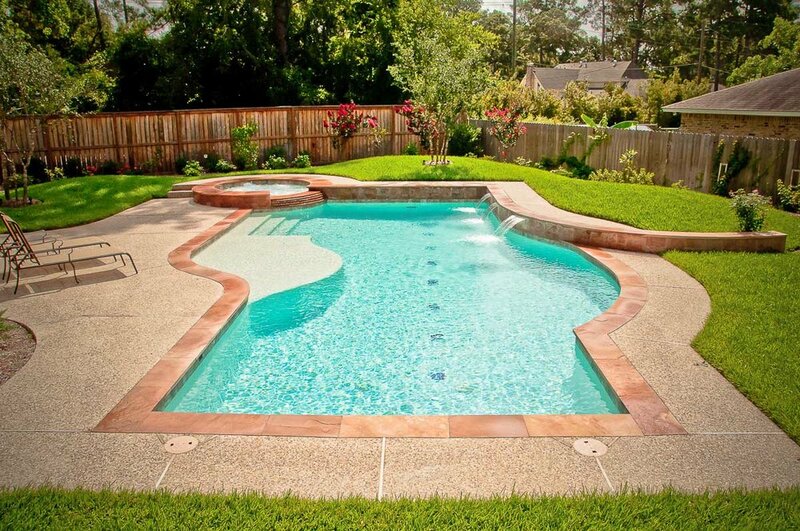 Why then, do we see so many giant pools with enormous deep ends? 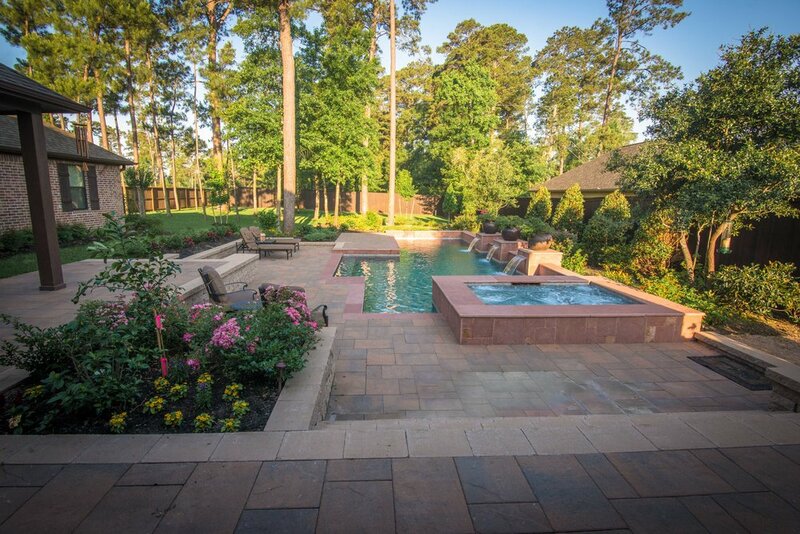 At Mirror Lake, we are proud to design and build not only the most beautiful pools in The Woodlands, but the most useful too. 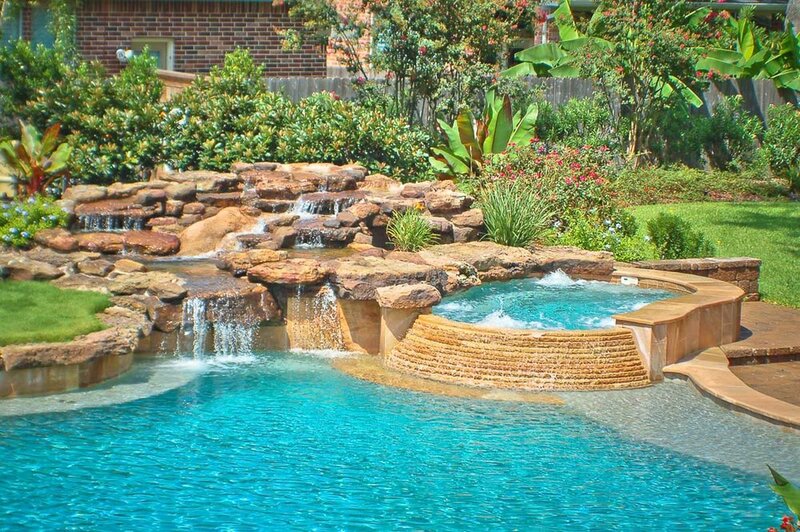 Don’t waste your time and energy with a pool contractor. 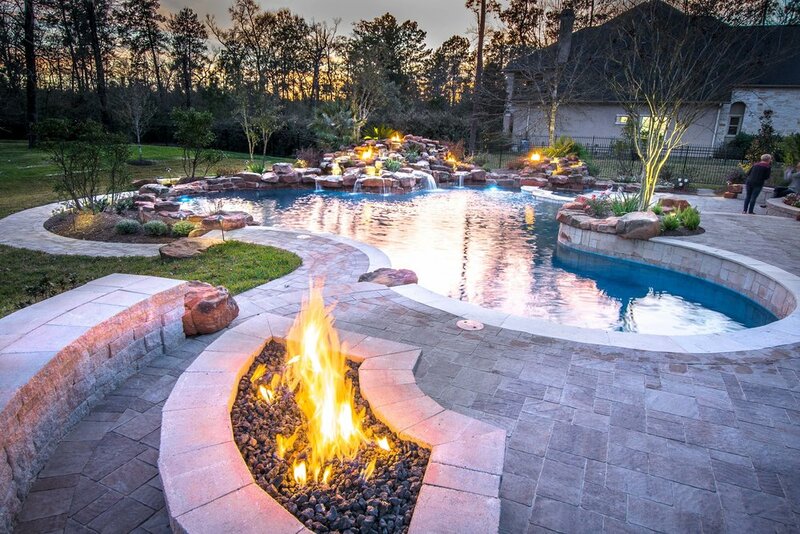 Work with a real Landscape Architect and call Mirror Lake. 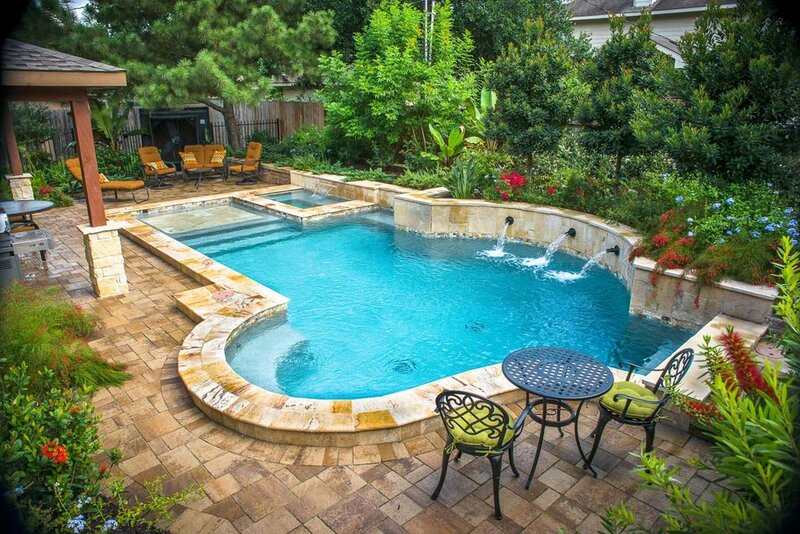 We’re more than just pool builders. 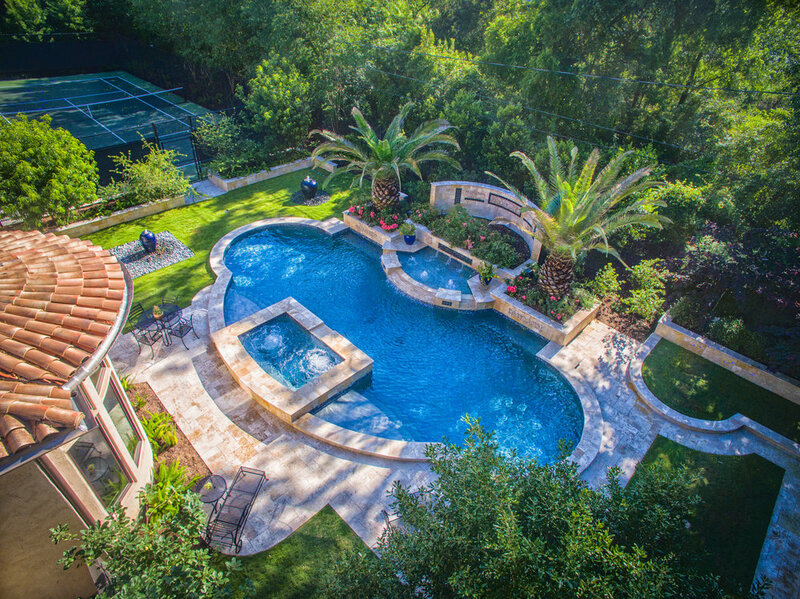 See how 35 years of award-winning landscape architecture will change your vision of swimming pool design. 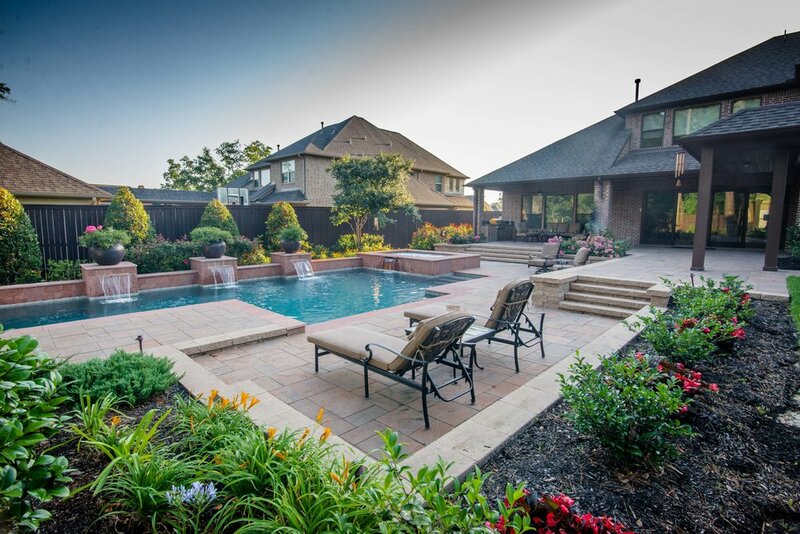 Call us today or complete our Design Questionnaire and we’ll reach out to you. 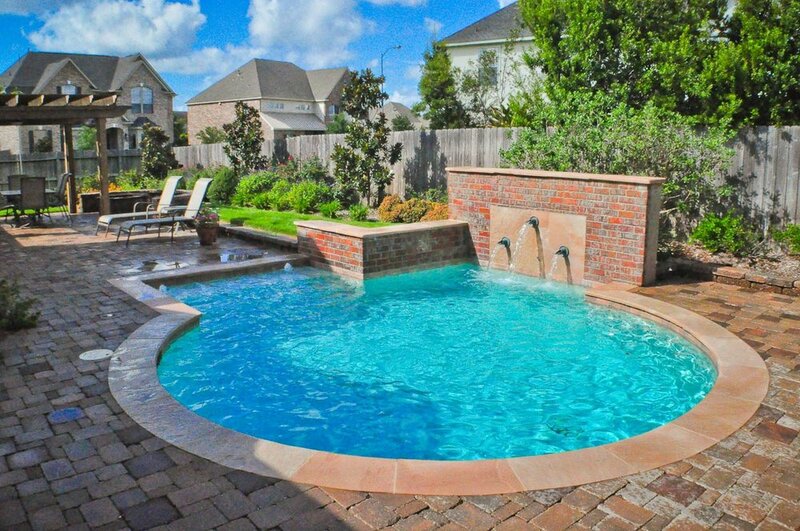 Click here to see a selection of our small, courtyard pools.